Why Join Pomen Workshop Merchant ? If the answer is YES, we want you! Increase your sales channel with Pomen App where new customers can acknowledge your workshop location and make a request to your place or you go to their car location to fix their problem. Either way, we want to bring more customer to you. Register your workshop now as Pomen merchant. Don't wait until the quota runs out! Already registered as Pomen Workshop merchant? Don't forget to install Pomen Workshop App and received jobs now! Make sure your status is online when you are ready to work and always check on notification for incoming job request. Let's help as many people as possible. Together. You are the hero #abangpomen. We're different from others. We do not compete with workshop, but we help workshop to transform as a digital service providers.. Ever heard of how Uber/Grab change the view of Taxi business? 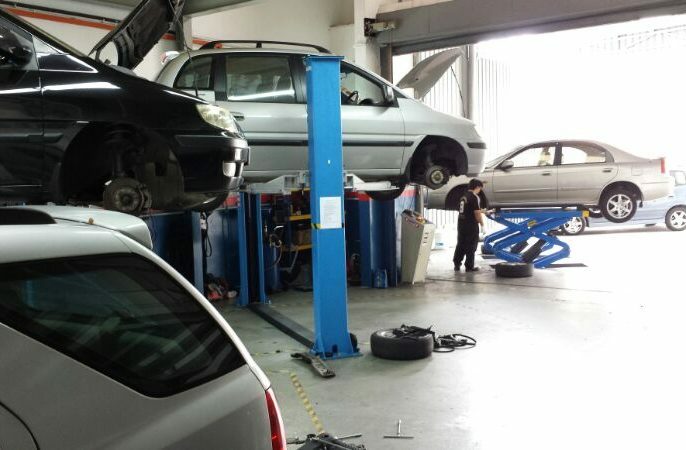 Now it's the time for car workshop too, do not miss out. 10M+ drivers covered across Malaysia. Our technology finds and sends you the closest jobs. Payments are initiated digitally and direct deposited into your account - smoothly, reliably and hassle-free. Grow your business with modern technology. Saves time & money that gets passed on to you. Our digital platform makes it easy. Use the app to accept a job. Mark when you're on the way, when you're onsite and when the job is complete. No minimums and no dues. We doesn't charge you fees, or assign penalties for declining a job. No need to invoice. Our technology saves you time and hassle. We'll take care of it all.